Bhutan is the mythical serpent kingdom of South Asia. It is lovely and charming miracles of Mother Nature and social antiquated angles. Get the most amazing holiday packages in best rates with us for Bhutan Tour Package.The nation might be geologically extremely small yet the social wealth and splendid peaceful society would overwhelm any travelers. The nation is as yet a kingdom administered by the ruler. Bhutan has the controlled tourism strategy where explorers need to spend the dispensed measure of cash every day. The nation likewise enables just modest bunch of explorers to visit their nation yearly. The significant attractions of Bhutan are its religious communities, mountains, knolls, customary markets and so on. Bhutan Tour overall is really well organized and hassle free. Himalayan Asia Treks & Expeditions’ group of movement organizers has been effective in weaving the tour packages in Bhutan in unique way. Our bundles comprise of visits to religious communities and also strolling through the high passes and green lavish timberlands. Major touristic goals of Bhutan are Paro, Punakha, Haa Valley, Chomlhari, Bumthang, Tsubnapata Lake and so forth. Among numerous productive attractions in Bhutan Tour Package the Tiger's Nest Monastery is its national character. The religious community arranged on the edge of slopes is the focal point of attractions. Each voyager who has been to Bhutan ought not to miss the single opportunity to visit this famous place. Bhutan is probably the most stupendous country after Nepal to visit. The monasteries and traditional society would undoubtedly offer great holidaying moments. Bhutan Tour Packages can be characterized in two parts as luxury tour and cultural tour. If you want to participate in various festivals as well as visit of museums then cultural tour in Bhutan is the best option to choose. Contact the travel planners of Himalayan Asia Treks & Expeditions for the more information about Bhutan Tour. The country would definitely help you record the momentous tale of traveling in your mind. 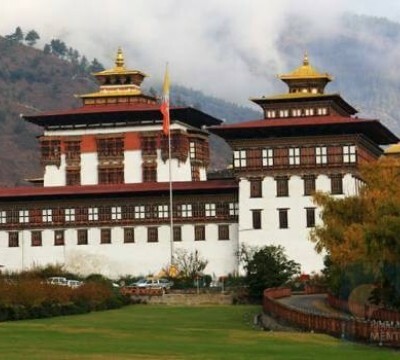 1) Bhutan Tour / 7 Nights 8 days Bhutan Tour Packages. 2) Glimpse of Bhutan Tour / 4 Nights /5 Days Bhutan Tour Packages. 3) Bhutan Thunder Dragon Tour / 5 Nights /6 Days Bhutan Tour Packages. 4) Land of Hidden Treasure Tour / 9 Nights 10 Days Bhutan Tour Packages.